Who doesn’t love Oprah? I think you have to look for far and wide to find someone who hasn’t heard of her. She is compassionate and inspiring. Her quiet humanitarianism is astounding. 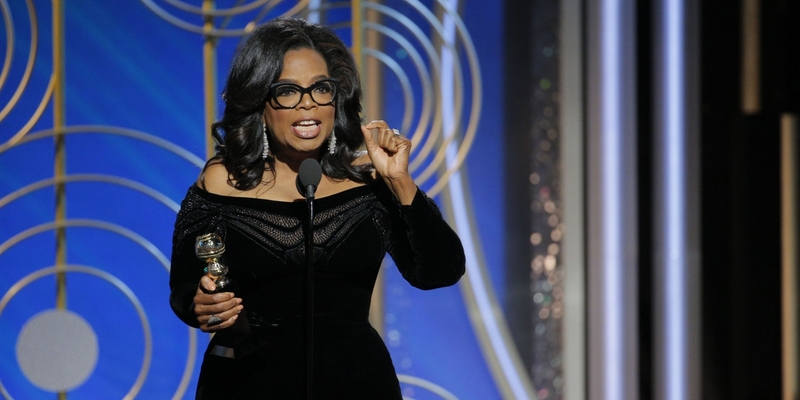 Her speech on Sundays Golden Globes may have been her best ever. The argument for Winfrey is image. In 2020, America will need an Ambassador to restore the damage done by President Trump. The argument against is the absence of political experience. We currently have an experiment in office and the majority of the Jury say’s he isn’t working out. The world of politics is ugly and brutal. Citizen Winfrey knows of the ugliness. Politician Winfrey has never experienced it. If Oprah, could bypass our election system she would be President today. But she can’t, in the months leading to November 2020 her brand will be tarnished. The opposition will find something that will stick. I”m one of the millions worldwide who love Oprah Winfrey, an incredible human being. As much as I love her, I don’t believe she is qualified to be our next president. This entry was posted in Entertainment, Good People, Politics, Uncategorized and tagged 2020, Golden Globes, Oprah Winfrey. Bookmark the permalink.